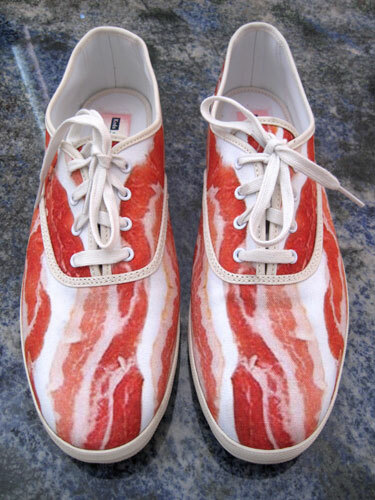 Here’s my “Freaky Friday Fashion” pics for the week, bacon-inspired shoes and clothing. 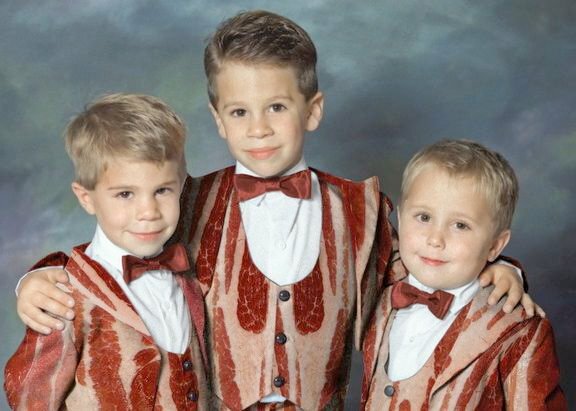 When will this bacon-craze end? 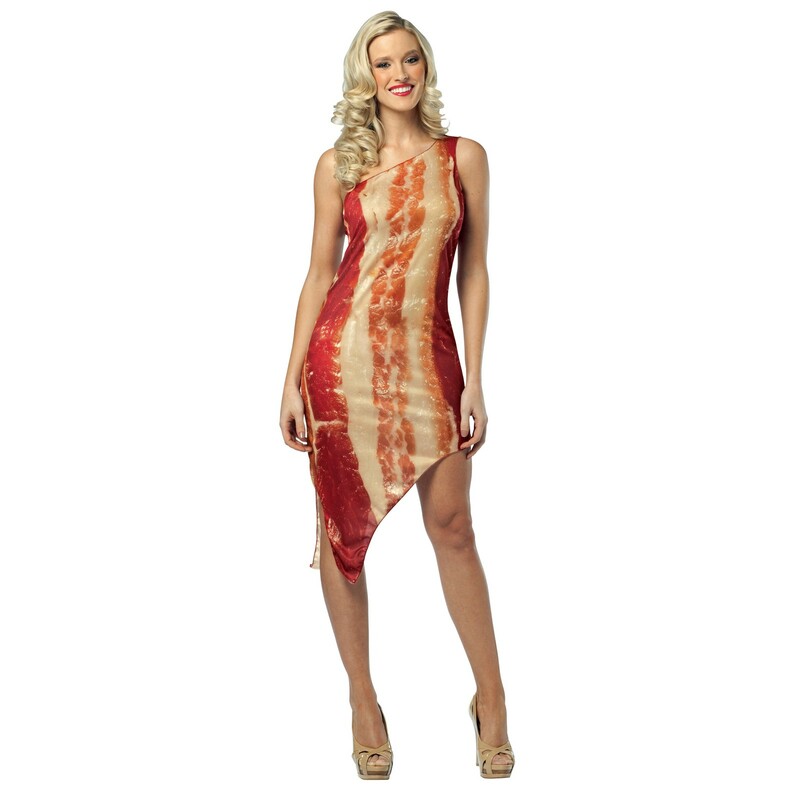 Seriously, if I see one more, non-edible, bacon product, I think I’m going to puke. It’s so greasy looking and gross. Plus, I’m on a health kick right now and seeing the inside lining of a pigs stomach plastered on product everywhere, completely turns me off. And the shoes! 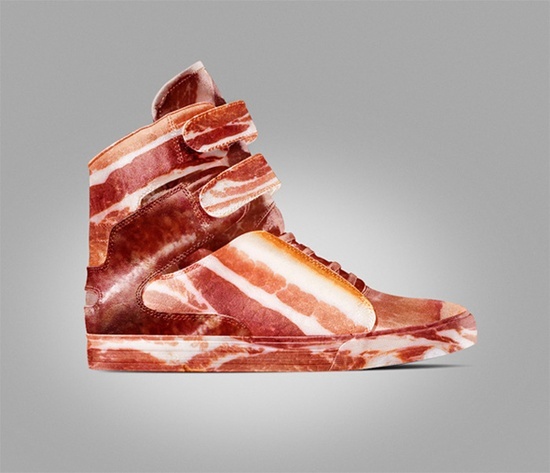 Do your feet smell like bacon if you don’t wear socks with these? And the dress! “He thinks I’m just a piece of meat!” Perhaps it’s your poor wardrobe choices. What will be next? Crotchless underwear? Scratch and Sniff wallpaper? (Hmm… hold on…I might be on to the next big thing.) OK, gotta go now. Hope everyone has a great weekend!